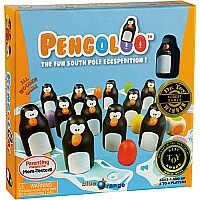 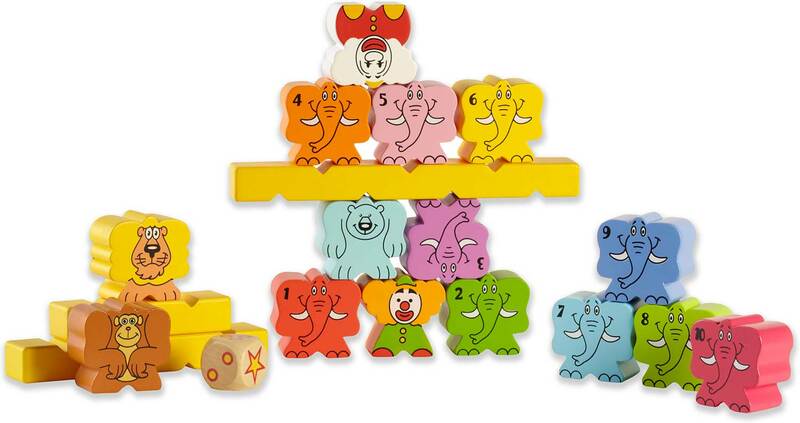 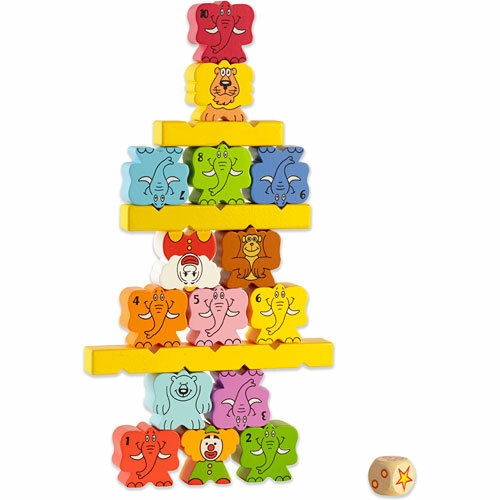 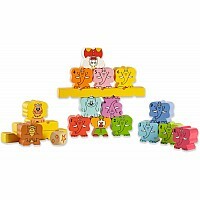 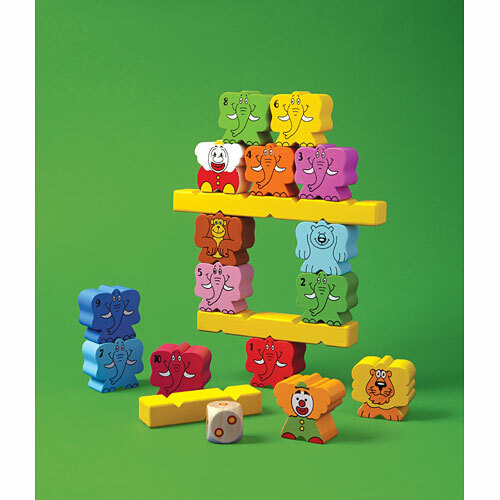 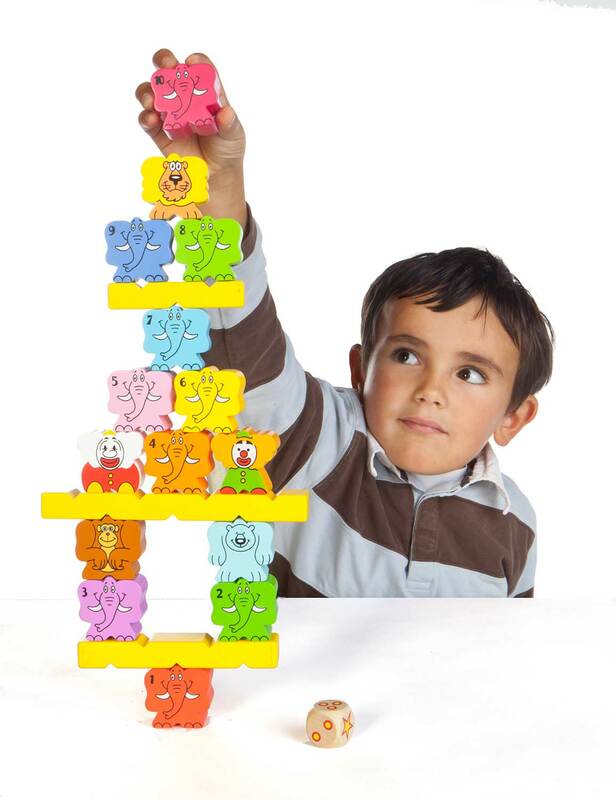 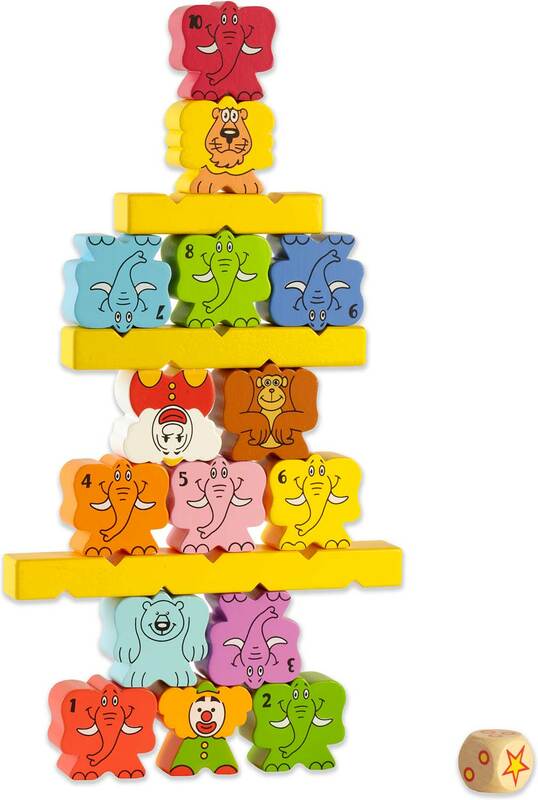 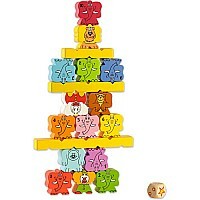 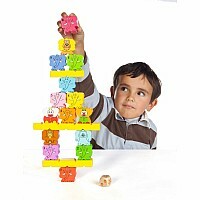 Play competitively or cooperatively to pile up the wooden elephants, trying to create the most original and elephantastic pyramid you can think of. 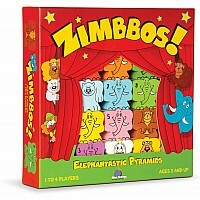 Taking turns, each player throws the wooden die tofind out how many elephants have to be added tothe pyramid, respecting the numerical order.If the die shows a star, choose either a balancing or one of the various joker pieces (a clown, bear,gorilla or lion).Zimbbos offers endless combinations in whichelephants and clowns mix together with fun andlaughter! Join us under the Big Top at the Zimbbos Circus and learn the delicate skill of stacking elephants!